The Roman Limes pathway (LAW 16) in the Netherlands has been chosen as Walking Route of the Year 2019. The jury awarded the accompanying trophy during the Fiets en Wandelbeurs in Ghent to the route manager, Wandelnet Netherlands. The 275 km long pathway follows the course of the former northern frontier of the Roman Empire, The Limes. The pathway strings together historic places like Leiden (Roman name: Matilo), Alphen aan den Rijn (Albaniana), Woerden (Laurum), Utrecht (Trajectum) and Nijmegen (Noviomagus). Through a varying landscape of polders and water meadows, rivers and canals, hills and woods. Surprises in store include the clog paths in the Groene Hart (Green Heart), the steep woodland paths around the Veluwe and the treacherous Duivelsberg on the German border. Prior to the presentation of the trophy, four other routes were in the race for the honour: Wandelnetwerk Brabantse Kouters (Belgium), Noardlike Fryske Wâldenpad (Netherland), Tour du Brabant Wallon (Belgium) and Walcherse Wandelingen (Netherlands). They were selected in turn from a long list of 18 candidates in total. New or recently updated and improved routes in Belgium, Netherlands and the Grand Duchy of Luxembourg are eligible to compete for this prestigious prize. The Roman Limes pathway is the successor to 'A walk around South-Limburg' by Alex Buis, the Walking Route of the Year 2018. The contest to choose the Walking Route of the Year is an initiative of the Fiets en Wandelbeurs. 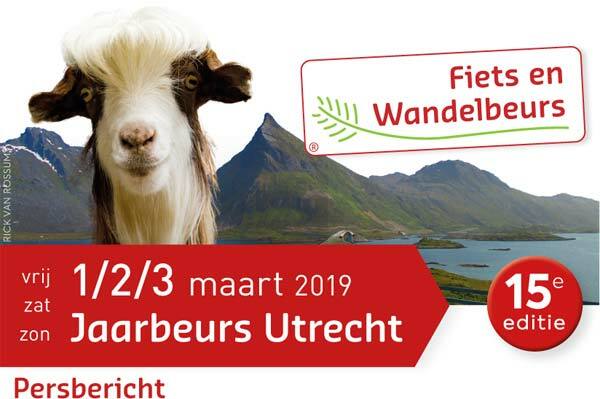 In 2019 this took place on 2 and 3 February in Flanders Expo in Ghent and 1, 2 and 3 March in the Jaarbeurs, Utrecht.